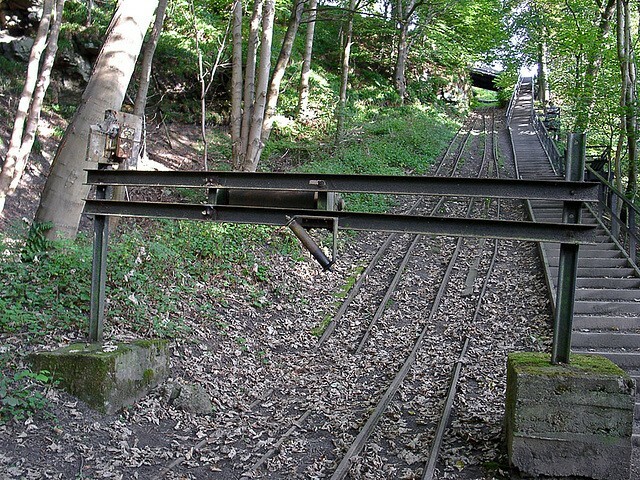 The Haulage system which used to move the clay mine hutches up and down the side of the Avon gorge to the processing plant stopped operating many years ago, however the track system was left in situ and was visible on the walk down to the mine entrance when it was still open as a visitor attraction until it was closed in 2013. Above the meadow walk bridge the haulage system ends, but in its operating days it would have continued up a metal and wood ramp to the processing facilities but, like the rest of the buildings was demolished. 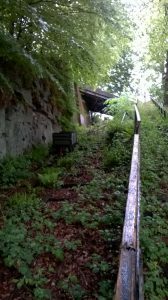 This too has become heavily overgrown, but this section has been identified as a quick win from a clearance point of view and provide some early interest to walkers and visitors to Birkhill. 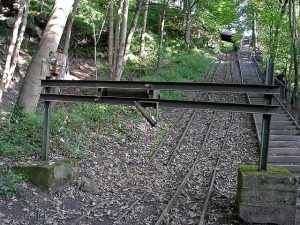 The regeneration of the haulage system will take time and the work will be broken up into a series of mini-projects spanning 2017 & 2018 commencing Spring 2017.